Mahesh Babu Ghatamaneni was born on 9th August 1975 is an Indian actor , producer , media personality known for his works in Telugu cinema. He owns the production house G.Mahesh Babu Entertainment Pvt. Ltd.
Mahesh made his cameo as a child artist in Needa (1979) at the age of four, and acted in eight other films as a child artist. He made his debut with Rajakumarudu (1999) and won state nandi award for Best male debut. Now he is very popular hero. He is the brand ambassador for Thums up in Andhra pradesh. Mahesh Babu was born in chennai Tamilnadu, to prominent Telugu cinema actor Krishna Ghatamaneni and Smt.Indira Devi on August 9th 1975. Mahesh childhood was spent mostly in Madras under the care of his paternal grandmother Smt.Durgamma and the rest of his family. Mahesh studied at ST.Bedi’s School in chennai while continuing to attend his dad’s filming during holidays. Mahesh obtained an Honour’s Degree in Commerce from Loyola College, Chennai. In 1999, Mahesh made his comeback as a lead actor with the movie Raja kumarudu followed by Yuvaraju and Vamsi. For his acting in Murari, he bagged a nandi special jury Award. His next film okkadu remains as a landmark film in his career. Riding on the crest of his popularity, Mahesh is the brand ambassador for Thumsup. Mahesh married Namrata Shirodkar, a former Ms. INDIA and an actress in 2005 and they had a son Gautam Krishna Ghatamaneni in 2006. His role as Raja won him the Nandi Best male Debut award. In 2000, he starred in Yuvaraju and Vamsi, in which he shared screen space with Namrata Shirodhkar and his father Krishna. Murari in 2001 with Sonali Bendre won him the Nandi Award for Special Jury. He won the award again in 2002 for Takkari with lisa Roy & Bipasha Basu. The year 2003 was another year for the award winning performances with him winning the Nandi Award for Best Actor for Nijam & Filmfare Best Telugu Actor Award for Okkadu with Bhoomika Chawla. Another Nandi Award for Special Jury went his way for his role in Arjun. The other release in 2004 was Naani. Athadu in 2005 was a money spinner and won him another Nandi Best Actor Award. The 2006 release Pokiri made and won him Filmfare Best Telugu Actor Award for his portrayal of Pandu. Mahesh scored a huge success after five long years with the movie Dookudu in 2011. Sreenu vaitla directed this action comedy. He also won the filmfare Award for Best Actor Telugu at the 59th Filmfare Awards South and 1st South Indian International Movie Award Ceremonies. Multi-starrers became very rare in the top hero level. 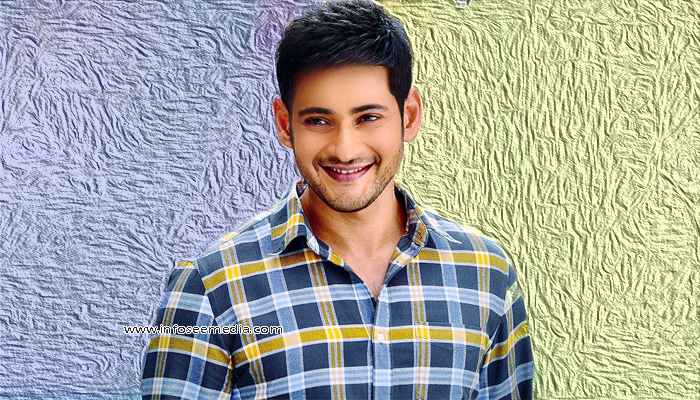 Mahesh reintroduced multi-starrers to Telugu audience with the movie Seethamma Vakitlo Sirimalli Chettu. 1:Nenuokadine was at one time the highest rated Indian movie in IMDb. Mahesh stood in 31st place in Forbes India’s ‘Celebrity 100’ list for the year 2012. Mahesh gives 30% of his annual income to charities, and most of his philanthropic activities are unpublicised because he prefers them to be so. Mahesh adopted his father’s Krishna native village Burripalem , a minor panchayat in Tennali and would address basic needs of the community such as potable drinking water and better roads and drainage systems.